When your baby wakes in the middle of the night, you probably have a routine to get him back to sleep. For Coleton and me, it was breastfeeding. I used to nurse him until he was totally asleep. Every hour, we had a very exact pattern: Coleton woke, I shifted him to the other side, I kissed his head, and then he nursed – a beautiful, soothing ritual. Sometimes he would wake up and pucker up, looking for the kiss and the shift. As sweet as this ritual was, after 12 months of this nightly/hourly ceremony, I desperately needed a change. As with the writing of this book, learning how to break the association was a gradual, thoughtful process that required self-examination. I discovered that I was responding to Coleton so quickly and intuitively that I'd put him to the breast before he even made a real noise – he would just fidget, gurgle, or "sniff" and I would put him to the breast. I began to realize that, on so many of these occasions, he would have gone back to sleep without me. I am a follower of the “never let your baby cry” rule, and I took it very seriously. What I didn't understand, though, is that babies make sounds in their sleep. And these sounds do not mean that baby needs you. Babies moan, grunt, snuffle, whimper, and even cry in their sleep. Babies can even nurse in their sleep. 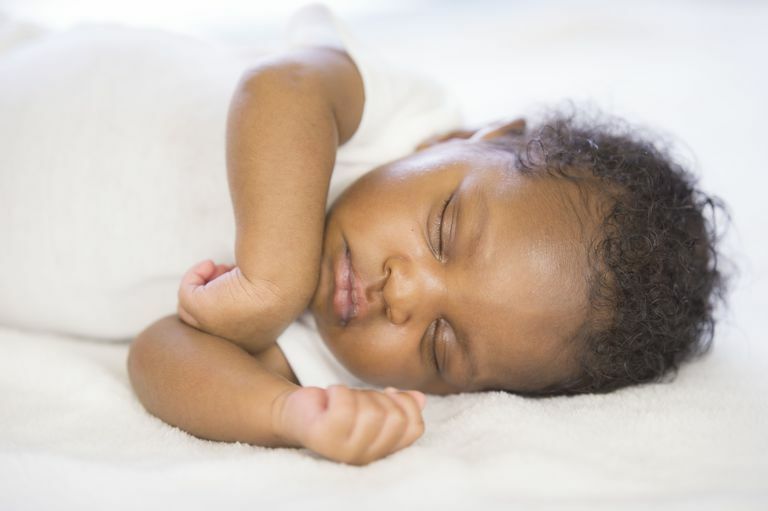 The first step to helping your baby sleep longer is to determine the difference between sleeping noises and awake noises. When she makes a noise: Stop. Listen. Wait. Peek. As you listen attentively to her noises and watch her, you will learn the difference between sleeping snorts and “I'm waking up and I need you now” noises. When I learned this eye-opening piece of information, I started “playing asleep” when Coleton made a nighttime noise. I would just listen and watch – not moving a single muscle – until he began to make actual wakeful noises. Some of the time, he never did; he just went back to sleep! This is a time when you need to really focus your instincts and intuition. This is when you should try very hard to learn how to read your baby's signals. You need to listen and watch your baby carefully. Learn to differentiate between these sleeping sounds and awake and hungry sounds. If she is really awake and hungry, you'll want to feed her as quickly as possible. If you do respond immediately when she is hungry, she will most likely go back to sleep quickly. So, the key here is to listen carefully when your baby makes night noises: If she is making “sleeping noises” – let her sleep. If she really is waking up – tend to her quickly.